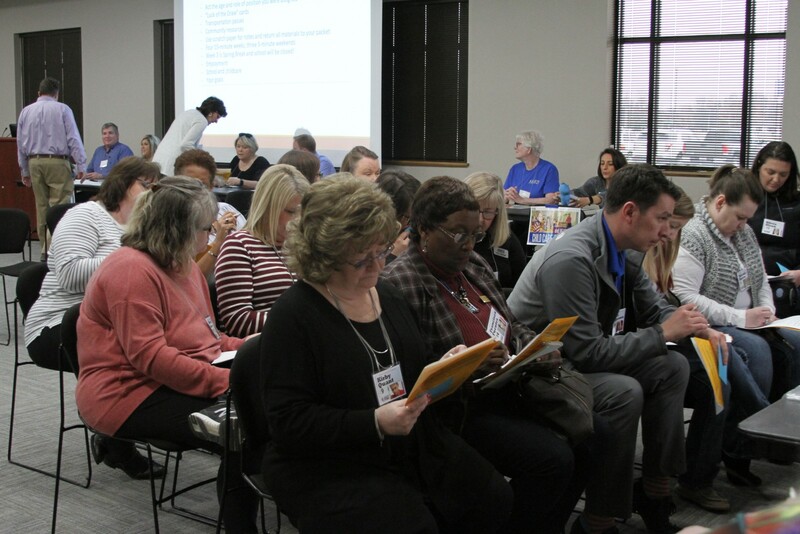 The Center for Community and Economic Development (CCED) at the University of Central Arkansas partnered with the Newport Area Chamber of Commerce and Arkansas State University – Newport to host a poverty simulation for community leaders in Jackson County and the surrounding region. The simulation was held on Friday, March 1 at ASUN’s Student Center. Over 80 local leaders participated in the simulation. The poverty simulation is an experiential setting that allows participants to view poverty from different angles. The simulation is intended to move participants to think about the harsh realities of poverty and to talk about how communities can address the problem. This exercise is a unique, interactive experience that helps people begin to understand what life is like with a shortage of money and an abundance of stress. Through this simulation, participants will better understand the realities of poverty that affect individuals and families throughout our communities. “Arkansas State University – Newport greatly appreciates UCA for being able to bring this simulation to Jackson County and our service area. This simulation gave ASUN staff, faculty and community members the opportunity to experience what life is like for those that are less fortunate in our area,” said Vice Chancellor for Economic Workforce and Development at Arkansas State University – Newport Jeff Bookout. In August 2018, participants in the 32nd annual Community Development Institute were given the opportunity to apply for several technical assistance services available through CCED. These technical assistance services are part of CCED’s effort to connect with communities across Arkansas to grow local economies and enhance quality of life. Services include poverty simulations, community planning simulations, regional training events, community-based planning, walk audits and nonprofit capacity building. Newport applied and was selected to host a poverty simulation through this competitive process. For more information about the CCED, visit: uca.edu/cced or call Shelby Fiegel at (501) 450-5269.